It is all about Him, and His favor. As you freely look to Him, He turns you around: deeply cleansing you as you ask for forgiveness, covers you as you continuously choose to become more aware of Him and actively dwell with Him in His presence, teaches you as you moment by moment keep your eyes turned to Him, instructs you as you moment by moment keep your ears open to Him, and shows you what His perfect design is in truly living Jesus’ resurrected life. So that when you see things change for the better, when you see the blessings surrounding and healing the hardships, you deeply know it is all because of Him, the Sovereign root of all things. And through His Holy Word, you can confirm Him intimately guiding you into victory, showing you how it is when your life is fully yielded, fully sacrificed, fully obedient, and fully dependent upon Him so that when hardships come again, you can continue to smile and deeply know that His favor is still upon you because the very breath you breathe is His Breath, the Holy Spirit, your body is sustained because of His Son, Jesus, and His eyes are passionately turned towards you, because He is intimately teaching you through each learning struggle, trial, and issue, which then deeply establishes within your mind, heart, and soul a Divine strength and confidence that God is greater than all things, regardless of what your physical eyes may encounter. 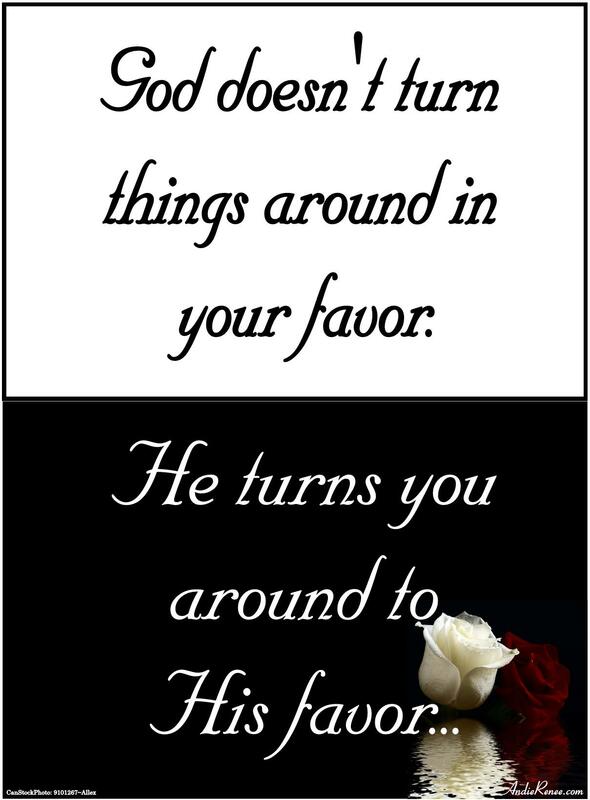 He loves you so deeply that He turns you to His favor, and He continues to raise you above the limits, conditioning you and teaching you in how to truly live as a Child of the Most High God!